Dr. Jacqueline F. Brown, an internationally renowned scholar, lecturer, educator and administrator. She was appointed Executive Director of the Prince Georges’ African American Museum and Cultural Center at North Brentwood, Maryland in 2010. In this capacity she directed the daily activities of the museum staff, programming of cultural activities, fund raising and design and construction of a new museum complex. 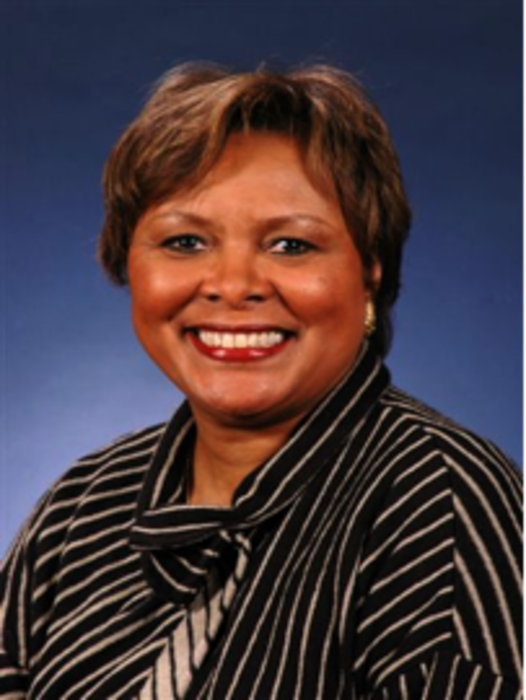 From 2002 until 2009, Dr. Brown served as Chief Administrative Officer for Prince George’s County, Maryland, the second largest county in the state. She was the first woman to be in charge of all county government services. She was responsible for the daily operations of the 6,000 plus employee government; a $2.6 billion annual budget; reengineering the government towards a more effective, efficient, results-driven, and customer-oriented delivery; and representing the county with numerous State and Federal agencies. She was Secretary of the Board of Trustees for the Prince George’s County Police and Fire Services Pension Plans. She also served as a member of the Senior Policy Group on Homeland Security for the National Capital Region, and set up the first county Office of Homeland Security in the State of Maryland. She coordinated county government services to 27 municipalities and 850,000 residents. She also represented the County government on the Metropolitan Washington Council of Governments Board of Directors, the District of Columbia Water and Sewer Authority Board of Directors, the Prince George’s Chamber of Commerce, Prince George’s African American Museum and Cultural Center at North Brentwood Board of Directors, and The Hospices of the National Capital Region. In 2006, Dr. Brown was elected President of the Metropolitan Washington Council of Governments Corporation. Dr. Brown instituted performance-based budgeting for 27 county government departments. She directed county expenditure control measures, including furloughs, reduction-in-force (RIF), and departmental cost-savings initiatives in order to address an on-going budget deficit. She also directed the county’s responses to the federal stimulus program, American Recovery and Reinvestment Act (ARRA) and HERA Neighborhood Stabilization Program. Dr. Brown has held membership in a number of professional Honor Societies, such as Psi Chi, Alpha Kappa Delta, Phi Delta Kappa, and Chi Sigma Iota. She is a member of the National Forum for Black Public Administrators, The Links, Inc., Delta Sigma Theta Sorority, Holy Trinity Episcopal Church and the Board of Directors for the Reginald F. Lewis Maryland Museum of African American History and Culture. She is former Chairperson of the Prince George's County Commission for Women, and a former National Director of Services to Youths for the Links Inc. She also hosted a series of television programs on the Maryland Educational channels, and was host of "Keeping It Livable”, the Prince George's County Government award winning television series. To see a complete list of Dr. Jacqueline Brown's background and experiences including, education and training, professional certifications, organizational memberships, and awards and honors please select the document titled, "Dr. Jacqueline Brown Bio"